Asphalt pavements are all the rage nowadays owing to their low maintenance and installation costs and sheer durability. Even when well-maintained, however, your paving will need resurfacing and repairs once in a while. One of the areas which need frequent retouching on asphalt pavements is its markings. These are prone to fading over time secondary to traffic and UV light exposure. In other instances, you will need to change the markings on the pavement to signify various elements. You might, for example, need to change a parking spot into handicapped parking. Asphalt paving in Sandy will require various techniques for the removal of the existing markings on it before the application of new ones. The methods used are designed to preserve the integrity of the paving if no repairs are being done on it. The following are a few of the techniques used for the professional removal of marks on asphalt. The most common grinding technique used for the removal of markings on asphalt is scarifying. Here, a machine with metal cutter rotating wheels which turn on vertical axes is used to remove thin layers of the marked spot. Grinding will leave a textured ghost line on the asphalt rather than a clear pavement. It is generally used for the removal of markings in tasks which need to be finished fast and do not need perfect results. Grinding will also leave a lot of debris which will require a cleanup that might increase your asphalt marking removal expenses. Sandblasting is generally among the most economical alternatives for the removal of asphalt markings. It, however, leaves considerable amounts of airborne dust making it undesirable for high-volume pedestrian outdoors. The sand should also be cleaned up after its use, and hence this might prolong the re-marking of your asphalt. Sandblasting will, however, add a roughness to the asphalt and make the sealing of your asphalt and its re-marking easier. This technique uses the same principles as those in sandblasting. 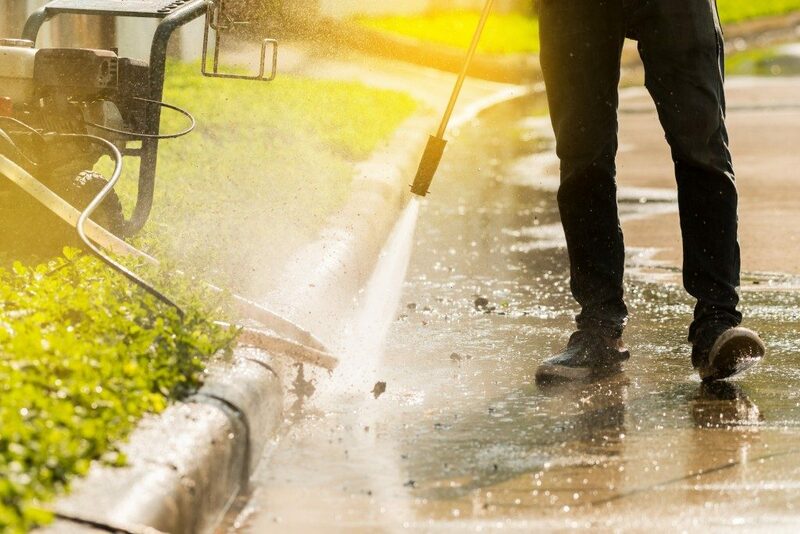 In water blasting, fine and sharp water jets are used under pressures of about 40000 psi to strip the marks without damaging your asphalt. 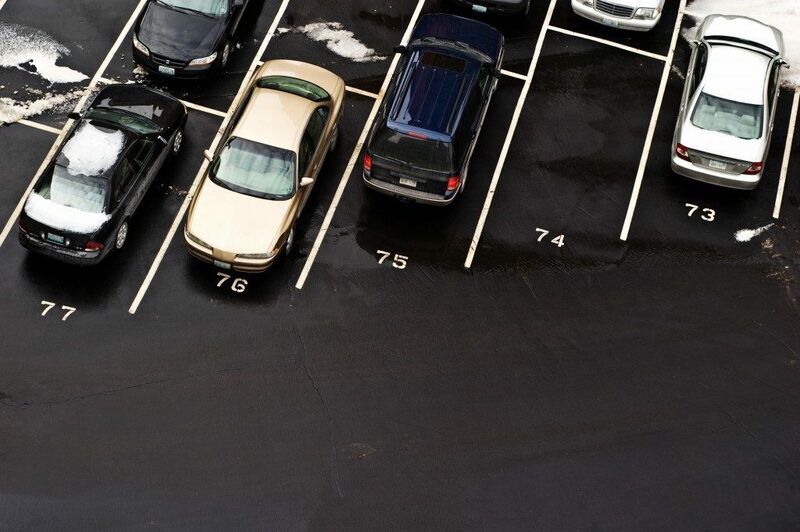 This is the most eco-friendly marking removal technique on asphalt and causes minimal damage and scarring to the surface. Chemical solvents are used for the removal of permanent asphalt markings though some will dissolve the asphalt and seal coating on your pavements. As such, they are not routinely used for the removal of asphalt pavement markings. If a repair expert ascertains that this is the best choice for removing marks on your pavement, he/she will use the ideal chemicals for the removal of your markings and ensure the pavement is adequately washed afterwards. Most property owners assume that removing asphalt markings is as easy as scrubbing with a hard brush. This, however, leaves your pavements with the damage that is costly to repair and at times irreparable. The above professional techniques are the proven ones to preserve the integrity of your asphalt even when removing the markings on them. The ideal choice for your pavement will depend on the scope of your project and its timeframe.